The Rehearsal Studio: "Until the Real Thing Comes Along"
Anyone of my generation, who spent time of the East Coast and had strong feelings about Chinese food, probably had a chance to sample the food in Philadelphia's Chinatown. Those who were lucky got to do so at a restaurant with a chef who know about fish lo mein (yú lo mein). In contrast to most lo mein dishes, this was a delicate affair in which flakes of fish (probably steamed or lightly braised) intermingled with ginger, spring onions, and a bit of lemon peel, all on a bed of soft but slim lo mein noodles. 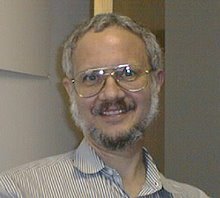 I was fortunate enough to discover this the summer after my freshman year, when I had an internship with graduate students in computer science at the University of Pennsylvania. We used to go to one particular restaurant (South China) about once a week for this treat; and I continued to do so when I would return to visit my family in later years. By the time I was teaching at Penn, South China was no longer serving fish lo mein. However, Computer Science departments tend to be inhabited by adventurous and enterprising graduate students. One of them figured out where the chef had moved, and I got to resume my culinary habit. Unfortunately, my later travels took me away from Philadelphia for several decades, which is how I discovered just how unique fish lo mein was. Even when I was working in Singapore, the very idea of such a dish would raise eyebrows. Things were no better when I moved from Singapore to Palo Alto. Then I got to attend a conference in Philadelphia. I happened to be held at a new hotel built on top of the old Reading Terminal Market. That was a treat in itself, but it also put me only a few blocks away from Chinatown. My first night in Philadelphia I combed every street there in search of a chef who knew about fish lo mein. Unfortunately, when I finally found someone who knew what I was describing, he said, "I remember that chef! He died several years ago!" About two decades have past since then, and I may finally have found a viable alternative. Several restaurants in Chinatown now serve a noodles dish with ginger and spring onion. The first time I tried it, I asked the waiter if the chef could add some fish the next time and basically got a dirty look. Today I found a place that did not give me a dirty look; and, while what I ate was not the "real thing" of personal memory, it will probably be the closest I can get. I figured I had a good chance because the name of the place is Kam Lock Seafood Restaurant; and they knew just how to do the right thing with the fish, even if the pieces were larger than those I used to get in Philadelphia. the balance of flavors, on the other had, was about as close to memory as I could expect. So, for those who may have had to endure the same "Philadelphia withdrawal" in their Chinese food diet, Kam Lock is on 834 Washington Street (just west of Grand Street) in San Francisco Chinatown; and it is open from 11 AM to 9:30 PM seven days a week!